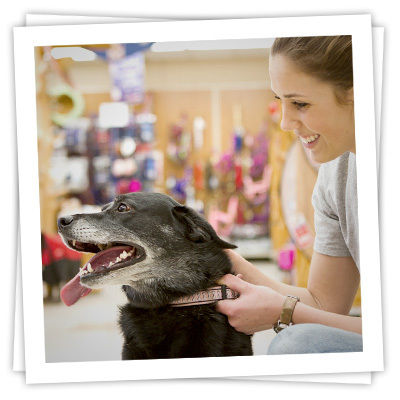 Dog training crafts a LifeTime of enjoyment with your loving pet. LifeTime Pet believes that dog training starts with training the owner, not just the dog. Training requires patience and repetition, on behalf of both parties in order to work together and grow as LifeTime partners. It also requires commitment, as mixed signals will only confuse your puppy pal. Safe environment for training and socialization - Professional dog trainers have the experience and knowledge to train and socialize your dog with other dogs and humans. Be sure that dog will be in a safe environment that is tailored to help your friend learn. Should the worst happen we have staff on had to care for your pet and you will be immediately notified. Should Veterinarian attention be necessary, LifeTime pet will make sure your dog gets to where they need to go. Learn how to nip a problem early - By training yourself, you'll be able to foresee potential behavior issues and will have the knowledge to be able to address these issues fast before they become full blown problems. "You can't teach an old dog new tricks." This saying, while untrue, is relavent in that it is easier to teach a younger dog how to behave than it is to unteach an older dog what they already know. More effective time investment for training - You aren't a dog training specialist and you don't have countless hours to spend. New owners without prior experience may instill bad habits in themselves and their four-legged friend. Some of these habits may seem innocent but aren't in the best interests of you or your dog. By taking dog training classes, your dog will learn faster and you'll be able to enjoy your time with your dog faster as well! Whatever your situation, the investment in dog training will be well worth it in the potential issues it will prevent, the time savings in training on your own, and the satisfaction of owning a well behaved LifeTime Pet! Please check back for new training classes to be scheduled or call LifeTime Pet at (913) 764-4626 for information.